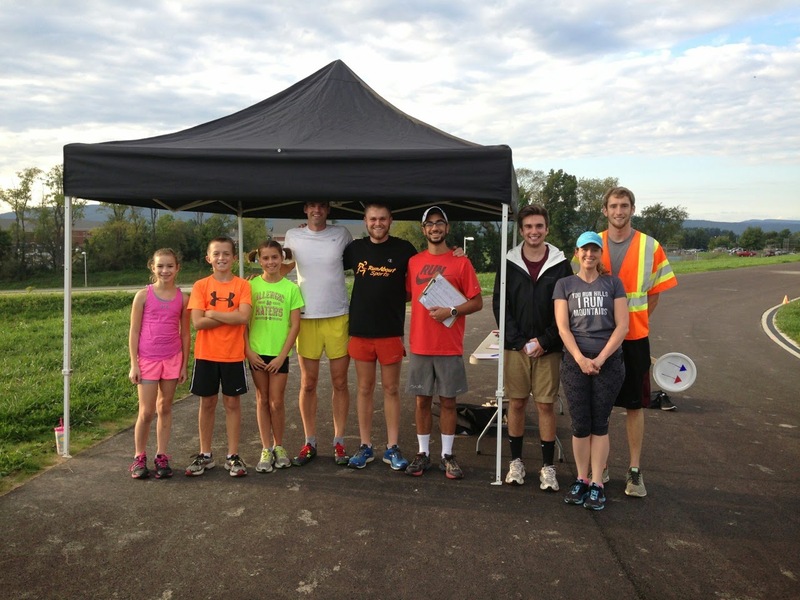 Cort the Sport: Thursday Night Cross Country Races - Join us! 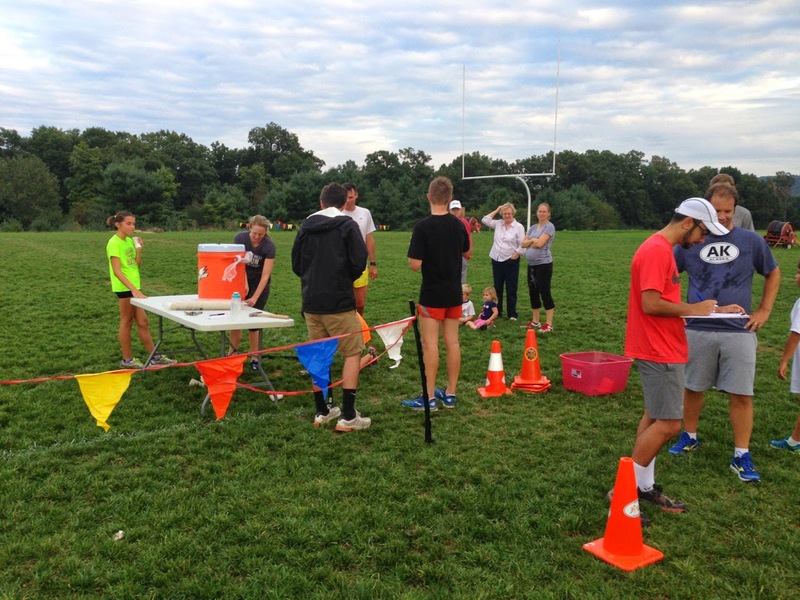 Thursday Night Cross Country Races - Join us! I've been really excited for a new Thursday night local cross-country race series that began last week. 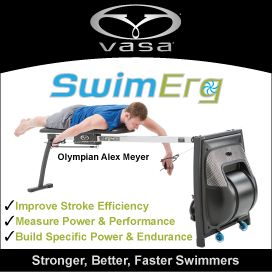 It was conceived by James DeMarco who had great success with a similar program in Alaska. James is the owner of our local running shop, Runabout Sports, the coach responsible for our very successful high school running program, a race director, and the hub of our community of runners. 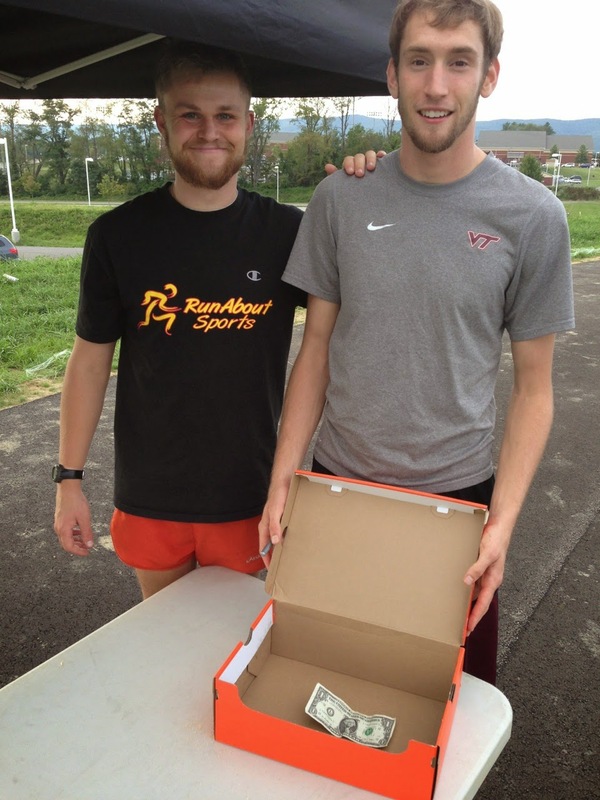 I see this new series as a way for us local runners to come together in a less formal way than races -- it's all the fun of a race, minus the nerves! Becky and I are happy to be out on a gorgeous evening! The idea is you show up, donate $1 to participate, and you race...or run...or run/walk! The donations go into a shoe box...how appropos! The actual course and distance varies from week to week. There's a start and finish line, the course is well marked with colored arrows for each League, finish times are recorded, and there's water at the finish. But other than that, it's just a no-frills opportunity to get together and enjoy the beautiful new cross country course! The Thursday night runs are part of my training schedule now, and even my Coach's children are running in it. I didn't get any photos of the actual course, but it includes nicely mowed wide paths through fields and wildflowers, around the baseball field and alongside farmland. It's a better workout than you'd get alone. Just knowing it's called a "race" allows you to get more out of yourself if you choose. It gets you off the road, reduces concussive forces, and gets the lower leg stabilizers into the action. Hills - love them or hate them they are good for us and by running them we will get stronger. This course has them, none too long, but always a challenge. It's for all ages and abilities. Explore new routes! It was very fun to navigate while running, following the signs and arrows. It puts you in the midst of other community sports like the JV Football game across the parking lot and the BHS Volleyball game in the gym. It felt cool to be part of a larger active community. Stick with it and you will likely be stronger/faster by the end of the seven weeks. 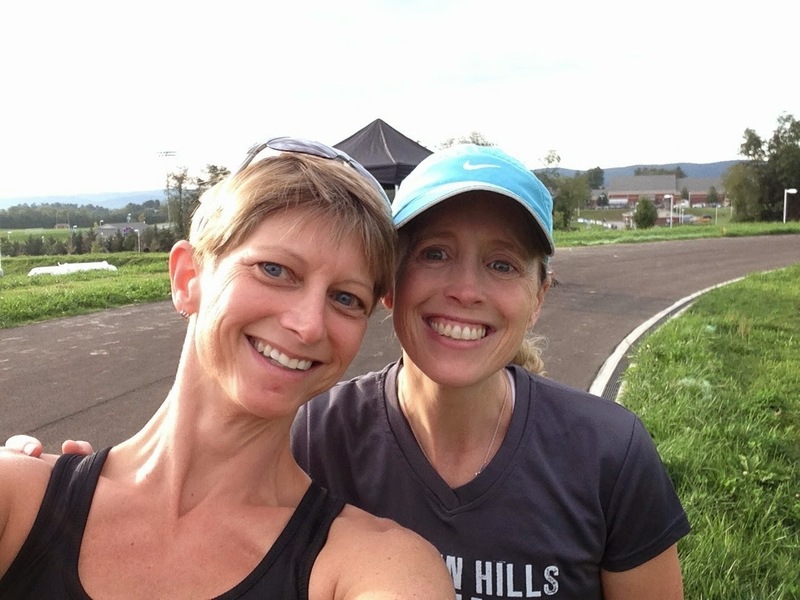 It's the ideal social event for runners and triathletes - see friends, meet new people. The race "swag" was a spectacular sunset! See you on Thursday at 6 pm at the Blacksburg High School. Meet at the new track!